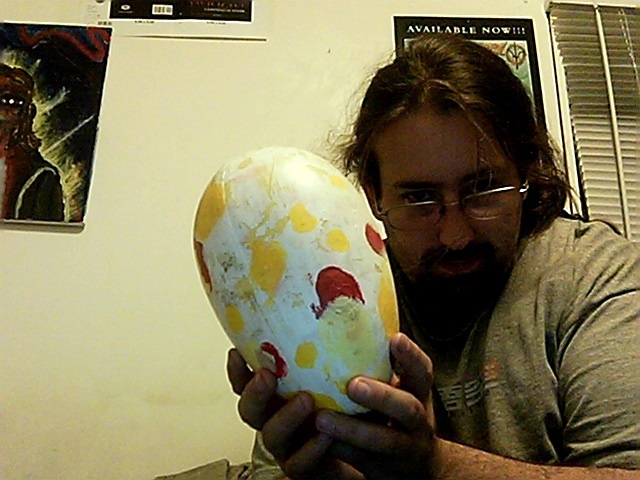 a number of years ago I went to a craft fair and came across a mold for an egg, it was in peaces at the time I found it so i picked up some glue, and paint then reassembled it. I had filled it with water at one time and placed a tac in it to hold it shut, it weighed about 4lbs at the time. to bad it dribbled out. nevertheless i still have a fun little craft peace here.